Neymar scored twice – including a penalty – as Paris St-Germain thrashed Bordeaux in Ligue 1. The penalty he scored was the first PSG have been awarded since Neymar and Edinson Cavani argued over who would take one against Lyon – with Cavani taking it and missing. 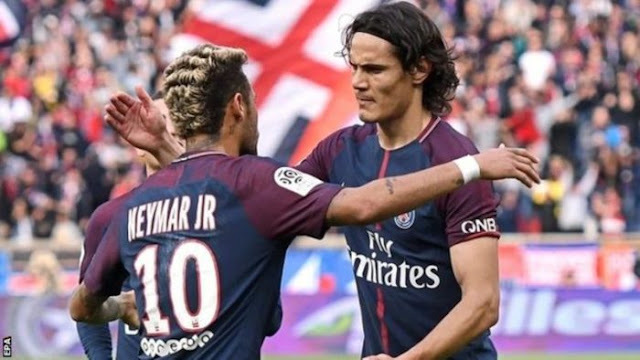 BBC reports that Neymar had already scored a brilliant free-kick against Bordeaux, with Cavani and Thomas Meunier adding goals to make it 3-0 before Younousse Sankhare pulled one back.